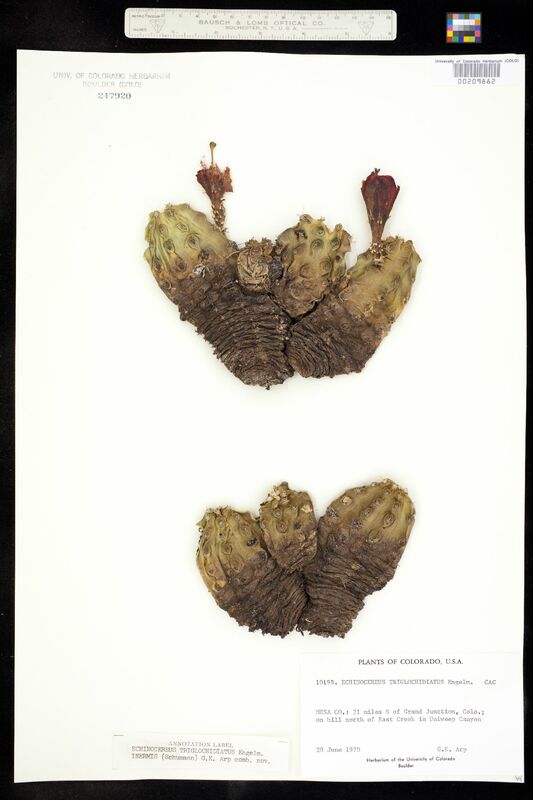 Taxon: Echinocereus triglochidiatus var. inermis (Schumann) G. K. Arp comb. nov. Locality: United States, Colorado, Mesa, 21 miles S of Grand Junction; on hill north of East Creek in Unaweep Canyon. Notes: Originally ID as Echinocereus triglochidiatus. Unsigned annotation label reads Echinocereus triglochidiatus Engelm. var. inermis (Schumann) G. K. Arp comb. nov.